This is ongoing blog on Getting Started with Android. 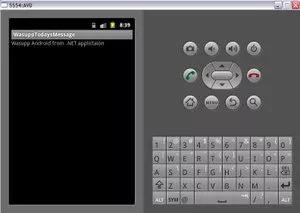 In earlier blog, I provided an architecture overview of android application, followed by setting up the development environment for Android and creating and running a simple application. In this blog, I will describe how to invoke web services (soap based services) via Android. In my next blog, I will follow it up with how to invoke REST based services. 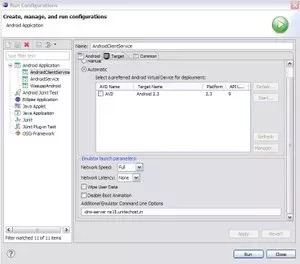 For trying out the tutorial, you need to have the android development environment setup as mentioned in my previous blog. Raw APIs : Use the HttpClient and XML parser to manually create a soap request and parse the soap response. Using a soap client library : like KSOAP library which does the low level work for parsing and dealing with soap messages – For Android, there is library available at http://code.google.com/p/ksoap2-android/ . Its good to see some active development for KSOAP 2, I remembered I wrote the first article on KSOAP 2 way back in 2003 ( http://naveenbalani.com/index.php/2010/05/deliver-web-services-to-mobiles/)and good to see it back in development for android. Download the KSOAP2 library , go to http://code.google.com/p/ksoap2-android/ , click on downloads link on the menu, and download the latest release artifact – http://code.google.com/p/ksoap2-android/source/browse/m2-repo/com/google/code/ksoap2-android/ksoap2-android-assembly/2.5.2/ksoap2-android-assembly-2.5.2-jar-with-dependencies.jar . In the release artifact page, click on “View raw file” and select “Save Link as” and download the jar file which has all the required dependencies. This is a simple .NET service, with one operation called todayMessage(), which display “Wassup Android from a .NET application “ as output. To create an andrioid project. Start eclipse. This would create a Project called AndroidClientService in your workspace. Next , add the ksoap2-andriod dependency to the project. Select the AndroidClientService, click properties , click on Java build path , click on Libraries , select Add External Jars and add the ksoap2 library (ksoap2-android-assembly-2.5.2-jar-with-dependencies.jar) and click Ok.
Next, open up the WasuppServiceClientAndroid class and replace the onCreate method with the following onCreate() method as shown in listing below. Following shows the complete code listing. To run the AndroidClientService Android application, click on it and select Run As > Android Application. If the application doesn’t show up on the emulator, Click on Menu option on the emulator and you would see the WasuppTodayMessage android application and message being displayed. If you get the following exception – “java.net.UnKnownHostException: naveenbalani.com’, than you need to add required domain name server which emulator would use to resolve domain. list and sets up aliases to them on the emulated addresses 10.0.2.3, 10.0.2.4, 10.0.2.5 and 10.0.2.6 as needed.